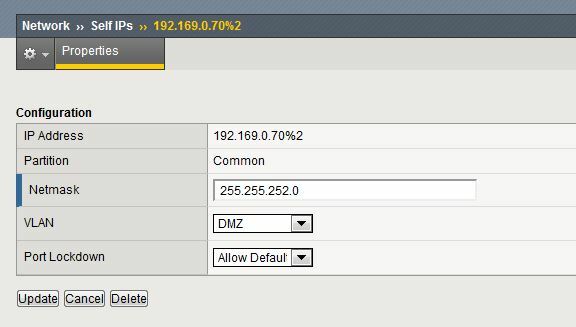 I’m pretty new to the F5 NLB scene, any network load balancing I had previously done had been through the inbuilt Windows Network Load balancing (WLB) Server role. Recently I was asked to deploy a F5 configuration to an already running production environment to handle SSL Termination, Caching and (of course) Load balancing on both web and app tiers. 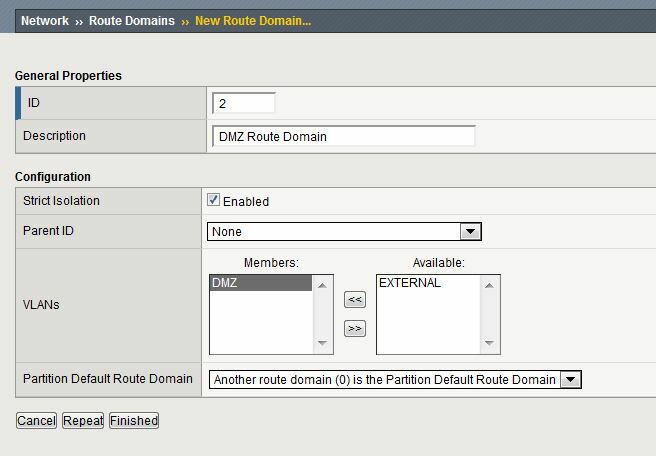 Establish a new route domain from Network -> Route Domains -> Create. This solution is merely a stop-gap until we can convert it into a routed configuration (recommended setup) – where the F5 unit will be the default gateway on both networks with something like a /29 stub network between the F5 and the router. 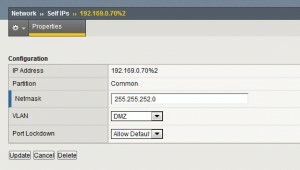 This entry was posted in F5, Uncategorized and tagged BigIP, F5, Network Load Balancing, Route Domain. Bookmark the permalink. might be a delayed post. but still worth doing it i believe.